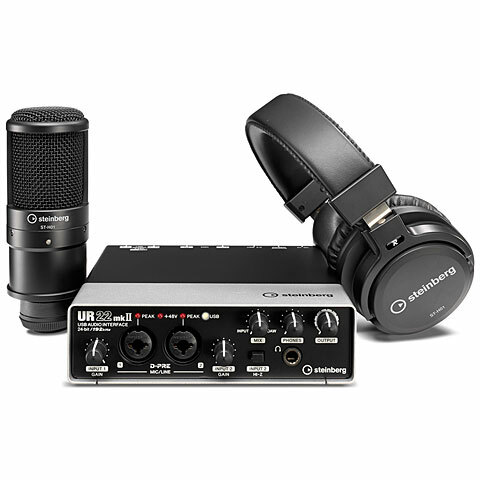 Steinberg's bus powered portable 24-bit 192 kHz UR22 USB 2.0 audio interface features two Steinberg Class-A D-Pre microphone preamps. +48V phantom power on each channel to power condenser microphones. 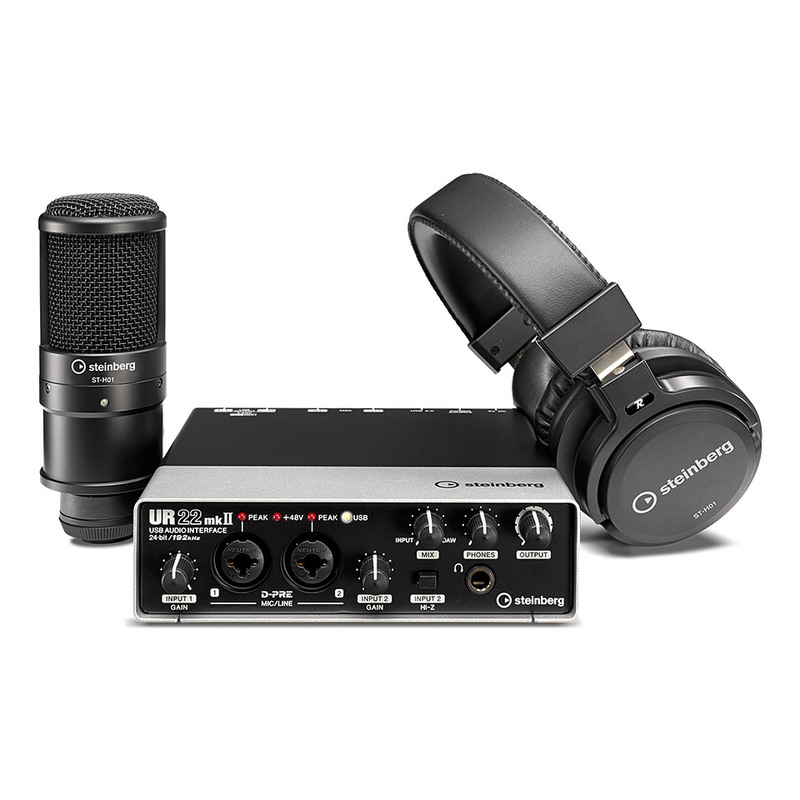 Each channel features an XLR/TRS combo jack to track line-level gear and dynamic and condenser microphones. A Hi-Z switch on the front-panel allows direct input of guitars and basses. Latency-free hardware monitoring with Mix Input/DAW control. 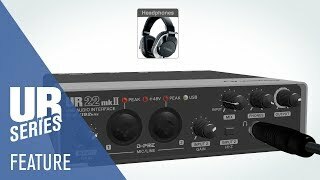 Bundled with the Steinberg UR22 audio interface is Steinberg Cubase AI6 DAW software for up to 32 audio tracks and up to 48 MIDI tracks. Based on the same technology as the Steinberg Cubase advanced music production system, Cubase AI offers tools for composition, recording, editing and mixing. Cubase AI6 also comes with VST effects, VST3 plug-ins, and drum loops. Cubase AI6 is limited to 96 kHz sampling rates. 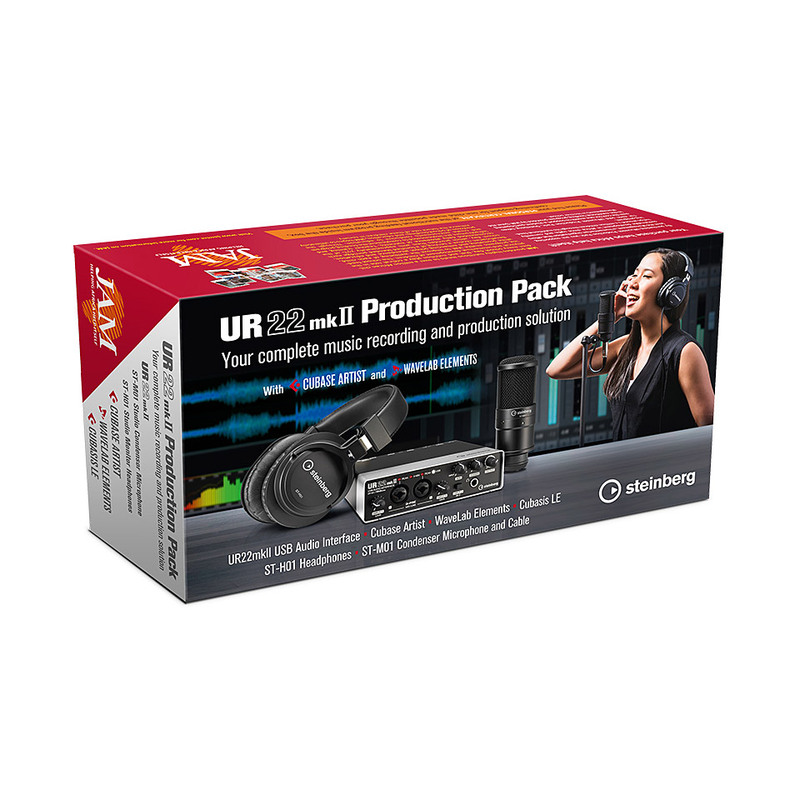 The USB interfaces of the UR Family from Steinberg provide quality recording solutions for every application. From the fully equipped 19 "Audio Interface for your Studiorack to an ultra mobile recording system for all your on the go requirements. 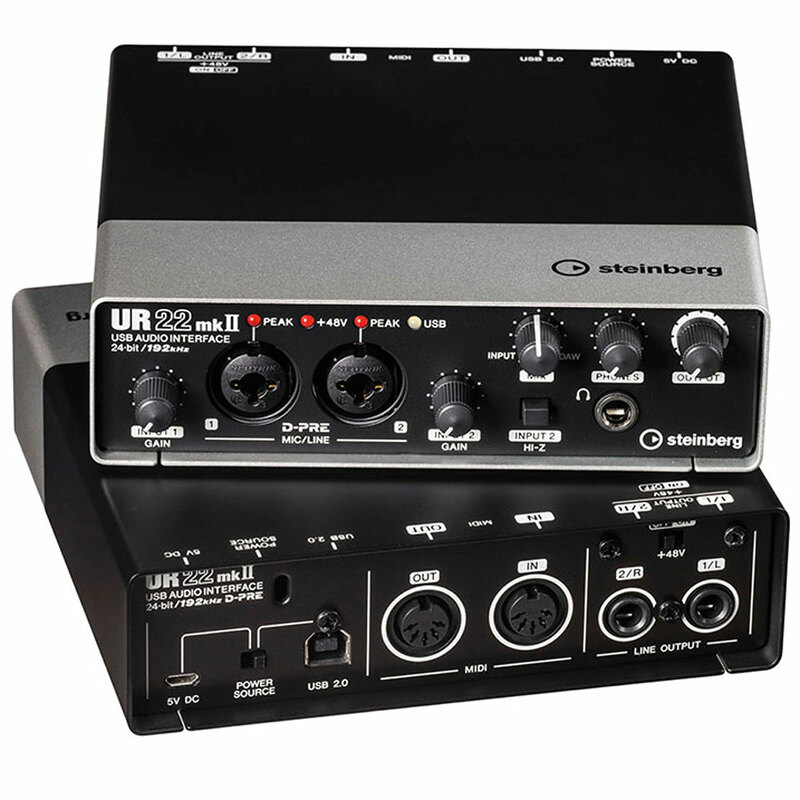 No matter which model, Steinberg UR interfaces have an exceptionally high manufacturing quality and superior sound ! This item was given an average rating of 4.8 out of 5 stars. 1 review has been written. The comments are not the opinion of Musik Produktiv, they are the subjective opinions of our customers. 40 ratings exist without a text or these reviews are written in another language. · Show all articles of the brand Steinberg.